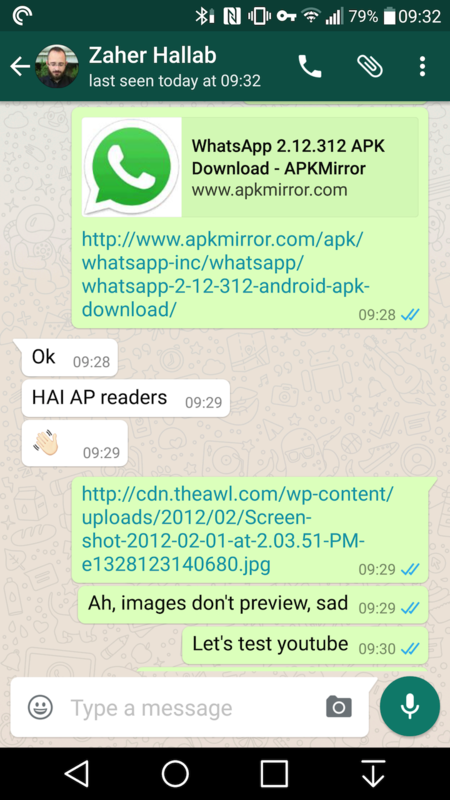 WhatsApp's developers are a little unpredictable. Sometimes, all it takes them is one swift update to add a ton of features, other times, they dabble painfully slowly with dozens upon dozens of beta releases until they get a small feature ready (Google Drive backup anyone?). But credit goes to them for keeping us on our toes and entertained with their small incremental updates, like this new version for example. 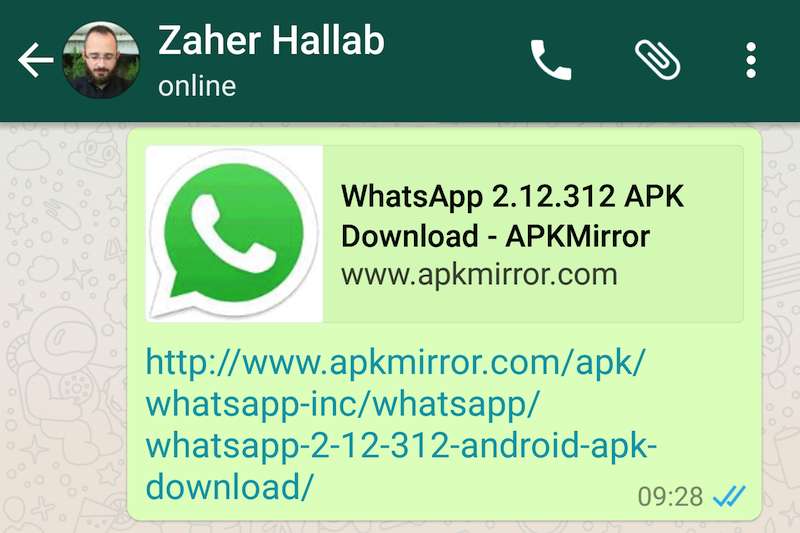 WhatsApp 2.12.312, which you can grab from the site's beta uploads page or from APK Mirror, has added a new rich link preview option. 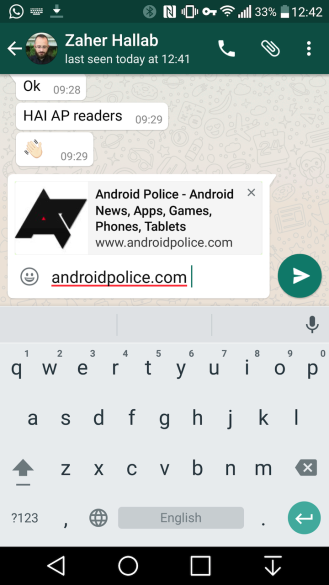 However, the feature is still very half-baked, so don't expect anything like Telegram's previews just yet. 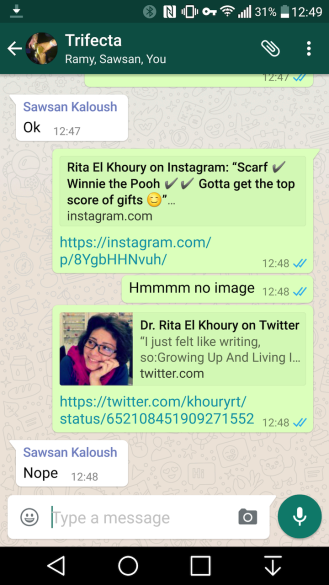 If you're on 2.12.312, when you finish typing a URL, you will see a small preview window with the title of the page you're trying to share, an image or icon if applicable, and the URL below it. Unfortunately, when you send these full previews, the recipients won't see them even if they're on 2.12.312. Likewise, if someone sends you a link with a rich preview, you will only see the URL. It seems that the feature has only been activated on the sending side and will need further updates to work on the recipient's end. 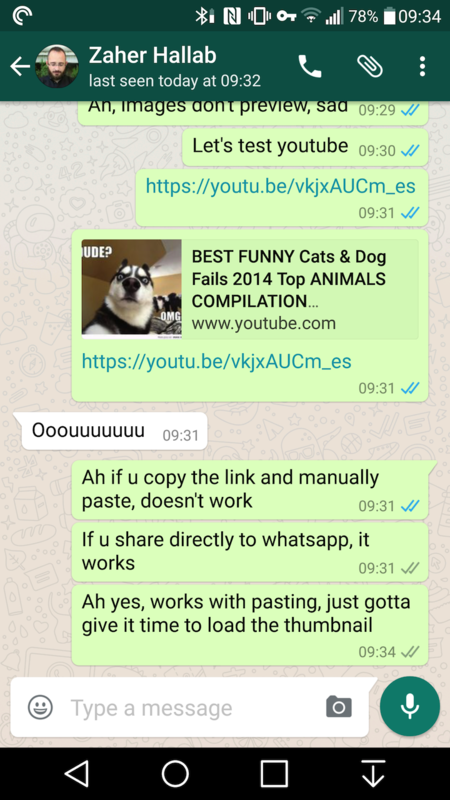 As with any new WhatsApp beta feature, we expect to see a few different iterations and quick updates until the functionality is fully developed and ready for primetime use. 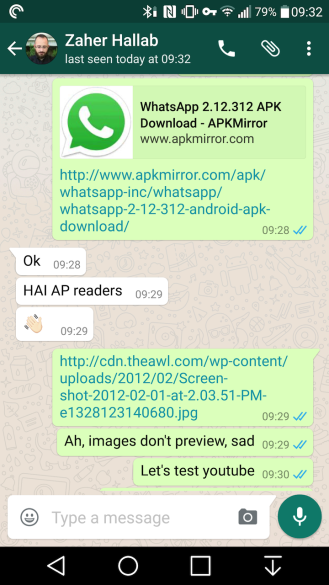 In the meantime, you can still grab v 2.12.312 from APK Mirror to get an idea of what to expect in the future.